Rolled Rye Flakes, Oat Flakes or Wheat Flakes make a pleasant hot breakfast meal. Flakes are also good ingredients for a cereal, used in cookies, or added to a bread recipe. A balanced diet is fundamental to healthy living. We offer a wide range of cereal products for daily use, in the form of grains, brans, flours and flakes! Make the most of the variety on offer, and please feel free to ask us for further advice. Barley flakes are very suitable for preparing porridge or patties, or to be added to muesli. Barley flakes by ZIELER & CO. from certified organic farming. Cornmeal can be used in many different ways. Commonly known are the Mexican tortillas and nachos which are made of cornmeal. Somewhat less exotic are dumplings or soups. Oat flakes are the most popular oat product, they can be found in almost every muesli, and they are also suitable for making patties, baked goods and sweets. Oat flakes are very digestible. The word polenta is from Italy, where it is often served as side dish for stews or ragouts. It is also very suitable for soups, oven dishes, dumplings or desserts. Quinoa flakes are produced by milling or pressing the quinoa grains. The gluten-free quinoa flakes taste fine nutty, refine muesli and are suitable as a topping on yoghurt and quark dishes. Long, loose grains and a flowery aroma make Basmati one of the most noble rice types worldwide. 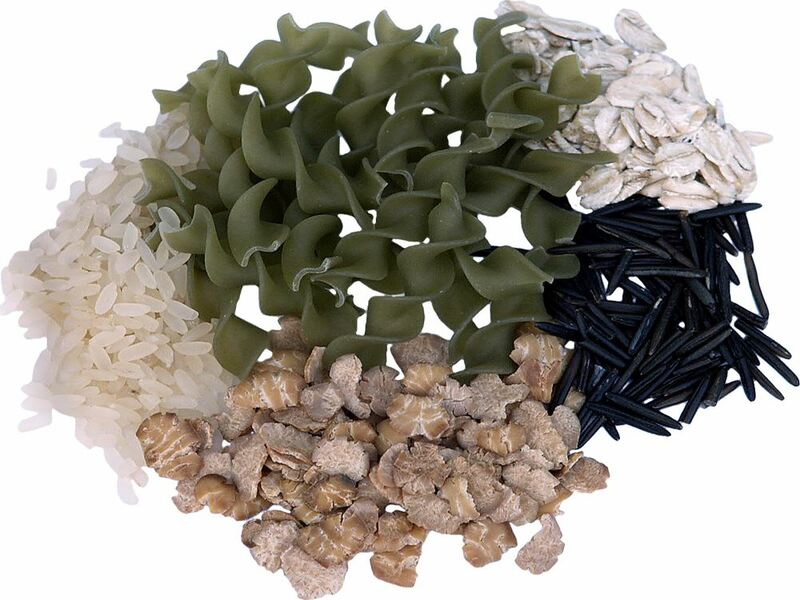 We offer brown and wholemeal Basmati rice as well as semi-long grain rice from Italy. Rye flakes are a tasty and healthy ingredient for porridge, pastries or the morning cereal. Rye flakes are produced by rolling or pressing the rye grains. Soy crispies made of soy protein, rice semolina, soy flour and salt are suitable for a gluten-free, low fat and protein-rich diet. Soy crispies are therefore especially popular with athletes. Wheat flakes are produced by milling or pressing the wheat corns. Wheat flakes are healthy and yummy e.g. in patties, baked goods or muesli. From organic farming.